For some of the best all-inclusive Tryon vacation rentals around, book your stay at The Horse Shoe Farm. Located in the foothills of the Blue Ridge Mountains, Tryon is known for its world-class equestrian community, as well as horse racing events, art and wineries. 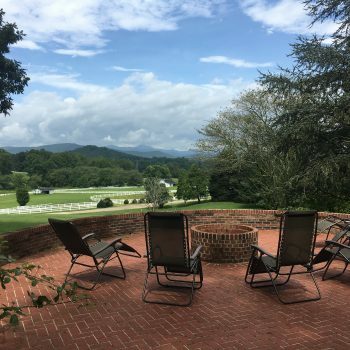 But guests at The Horse Shoe Farm can get a taste of the entire Western North Carolina region, from its natural beauty to local traditions of farm-to-table cuisine. At The Horse Shoe Farm, we offer a selection of refined, modern and charming vacation rentals to fit every size family. Our expansive Magnolia Manor is situated on the highest point of our property and offers expansive views of our pristine pastureland. The spacious rental features five bedrooms and five bathrooms, in addition to a gazebo and brick patio. For smaller groups or a romantic couple’s getaway, stay at the cozy Lily Cottage. The two-bedroom home is an intimate, quaint cottage surrounded by lush foliage and a hardy grove of oak trees. Enjoy a secluded weekend away in one of the most peaceful Tryon vacation rentals in the area. At The Horse Shoe Farm, there’s so much to explore outside of your rental. 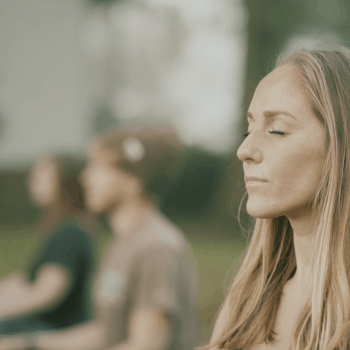 Greet the day during a morning yoga class or by casting a line on one of our serene fishing ponds. Paddle board, canoe or kayak along the French Broad River, which borders our property. Or practice your aim at our archery and shooting ranges. No other Tryon vacation rentals come complete with a vast array of exciting and relaxing available activities. For ideas on how to spend your time at The Horse Shoe Farm, use our concierge services. Let us help you make the most of your romantic getaway or much deserved family vacation. Get a bird’s eye view of the property by booking a helicopter or hot air balloon ride. Rent private aircraft or luxury cars to cruise the area in style. Hire a personal housekeeper or private chef to take care of the daily chores as you relax with your loved ones. Or pamper yourself with spa treatments, massages and a personal shopper. At The Horse Shoe Farm, your Tryon vacation rentals can be as all-inclusive as you want. For luxury amenities, family-friendly activities and modern lodging options, book your Tryon vacation rentals at The Horse Shoe Farm. Contact us for more information.